NEW STOCK JUST ARRIVED AND IN SIMPLY STUNNING OVERALL CONDITION. 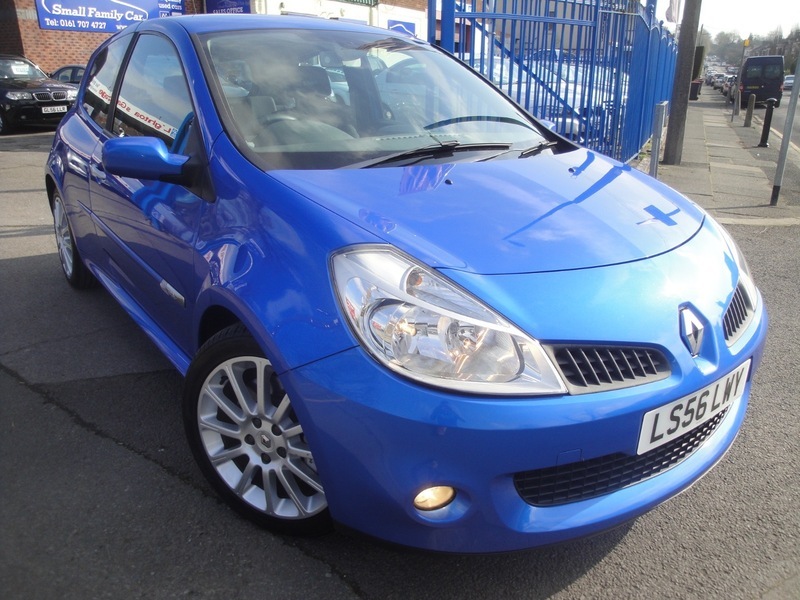 THIS CLIO SPORT HAS HAD JUST 2 OWNERS FROM NEW AND HAS BEEN LOVINGLY MAINTAINED THROUGHOUT ITS LIFE AS IT COMES WITH AN IMPRESSIVE SERVICE HISTORY INCLUDING CAM BELT CHANGE, THE LAST SERVICE HAVING BEEN CARRIED OUT JUST 1000 MILES AGO. FINISHED IN METALLIC SPORT BLUE WITH BLACK CLOTH INTERIOR AND COMES WITH DASH MOUNTED MULTIPLAY CD PLAYER AND POWER FOLDING MIRRORS TOO. COMES WITH 2 KEYS AND SERVICE BOOKLET. SERVICED AT 5425, 11862, 17594, 23848, 28828, 30163 (TIMING BELT, TENSIONERS & WATER PUMP), 33672 AND 38227 MILES. We are authorised and regulated by the Financial Conduct Authority for credit brokerage. FRN 692485 We are a credit broker not a lender.